Customer relationship management (CRM) is a process that involves strategies and practices used by companies to analyze and manage customer response and interactions throughout a customer lifecycle. There are many companies across the globe offering software for CRM. CRM collects customer information such as purchase history and buying choices. Their point of contact with the company is screened across channels such as company's website, live chat, phone calls, direct mails, promotional media and social media. This enables companies to improve customer relationship, customer retention and accelerate sales. 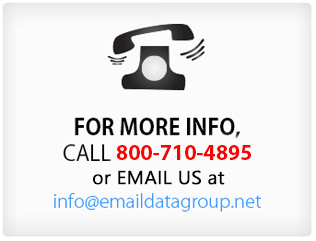 Email Data Group, is an old and premier database supplier that aims to deliver only high quality business data. Over the years, we have successfully been able to gain faith and confidence of our clients because we have never compromised on quality when it came to business data. With assurance of 100% accuracy, we present socaily verified CRM end users install base. Our lists intends to cover all the CRM using organizations across the globe. With various types of data segmented into different categories, you will be able to explore opportunities in multichannel b2b marketing. Research says that digital marketing can achieve up to 300% ROI. Alongside, email marketing is also gaining more footage on mobile devices. Through our permission-based lists of CRM user, we have attempted to help our clients reach targeted inboxes and mail boxes of potential customers. Email Data Group's opt-in b2b mailing database of CRM customers across geographies expands customer reach and supports high lead generation. Let us help you in customer expansion and market growth with our b2b mailing list of CRM using companies. 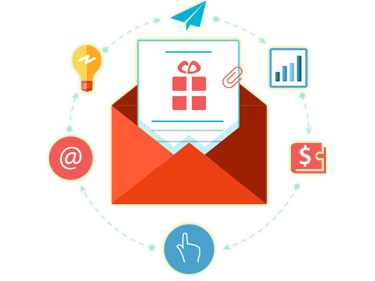 Our verified CRM decision maker mailing addresses guarantee more than 75% deliverables on multichannel b2b campaigns. 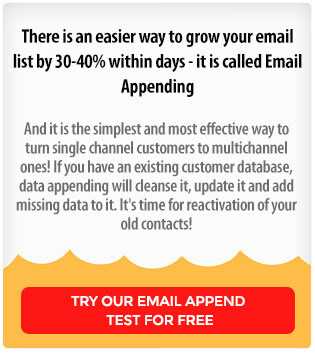 It is important that you buy email lists that help you to engage with global customers through the right message. Our geo-targeted email addresses of companies using CRM cover business profiles from across business and industry verticals. Engage in cost-effective marketing that helps to achieve desired response rates and conversions. Chase potential clients using our CRM marketing firms list for developing productive business relationship. The business data we provide supports direct marketing that gives marketers lot of scope to analyze their brand's current place in the software industry and make business decisions accordingly. If you want Want high campaign productivity, then optimize our permission-based CRM client mailing addresses that is both SMTP, Can-Spam and NCOA tested. We make this list available at the best market price present in the industry. Data is the backbone of any business, be it data of any kind. Moreover, if a marketer is unable to connect with the right business prospects due to lack of relevant data or data decay, then chances are the most potential customers will be won over by their competitors. To get a competitive edge in marketing, it s important that the niche customers are targeted with the right b2b customer database at the right time. This is why we encourage the use of our recent and tele-verified mailing databases. What's inside? Our CRM users email and mailing databases are segmented into First Name, Last Name, Title, Email Address, Company, Full Postal Address, ZIP Code, Phone, Fax, Employees, Sales, SIC Code, Industry etc. List Suitable for: You can use CRM databases to target prospects from IT, Manufacturing, Finance, Advertising and Healthcare sector. List Updates: Our database is updated every month and changes approximately 4% on monthly basis. List compilation: We collect records from trusted sources like seminars, trade shows, exhibitions and magazine subscription offers. We have also partnered with leading publishing houses and marketing agencies for better prospect information.